Open Education is often associated with the popular concept of Open Educational Resources (OER) – freely accessible, openly licensed resources that are used for teaching, learning, educational, assessment and research purposes. But Open Education is much more than just OER and involves aspects like opening up relevant educational data and changing both institutional and wider culture. 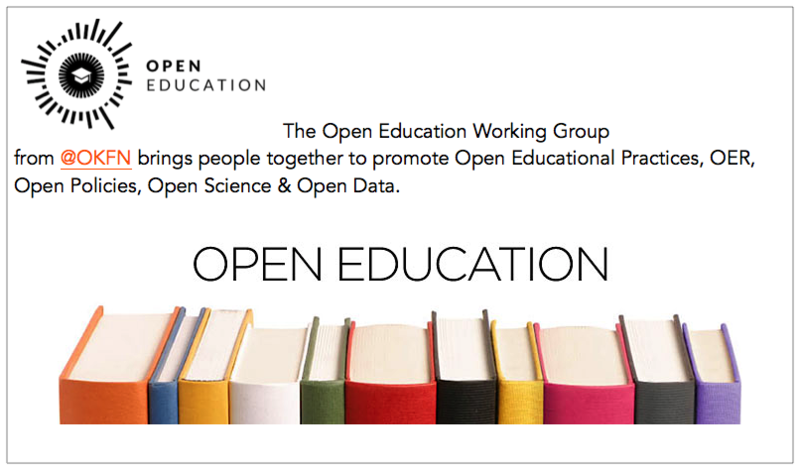 The Open Education Working Group from Open Knowledge International brings people together to promote Open Educational Practices and Open Educational Resources, as well as Open Policies, Open Science and Open Data in education. The Open Education Working Group has been established to bring together people and groups interested in open education. Its goal is to initiate global cross-sector and cross-domain activity that encompasses the various facets of open education. We want to get people talking and projects started! If you would like to be involved in future activities or hear about our plans we welcome you to join our mailing list today. The group works under the following charter.